I'm no fan of the Automatics, but this camera appears to be well-made, and fills a hole in the display cabinet nicely. 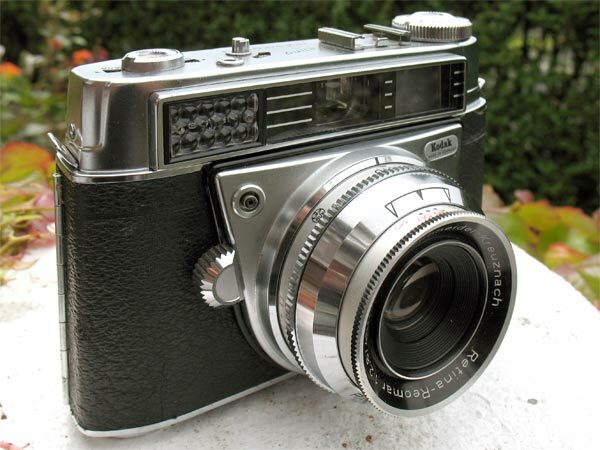 The camera was fitted with a 45mm f/2.8 Retina-Reomar lens in a Prontormat-S shutter. This camera has a coupled selenium exposure meter, but no rangefinder, though three dots are visible in the finder for use in zone-focusing. Retina Automatic I instruction manual on Mike Butkus' excellent website.